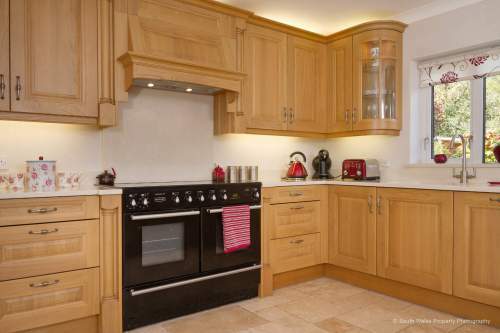 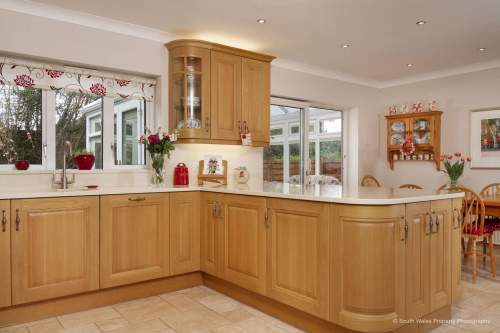 Traditional design was the keyword that Mr and Mrs Rees from Pencoed wanted to feature in their new kitchen. 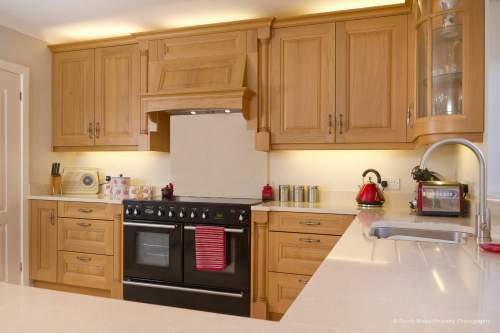 They wanted to reveal all of the beauty of real oak with decorative pilasters and subtle cornice adding the traditional flavour they craved. With this raised and fielded door style, Jo was able to integrate curves and glass display cabinets to add a splendid touch of class. 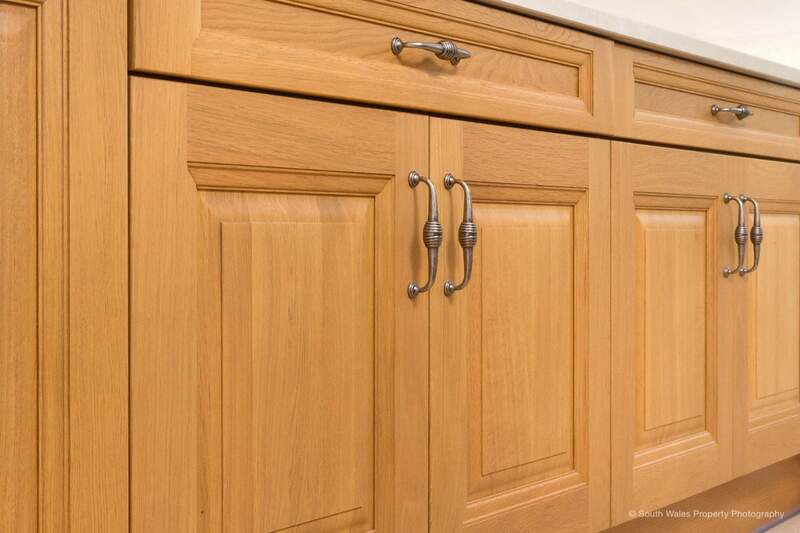 The look and feel of real wood is special but it’s the quality of this natural material that makes all at the difference. 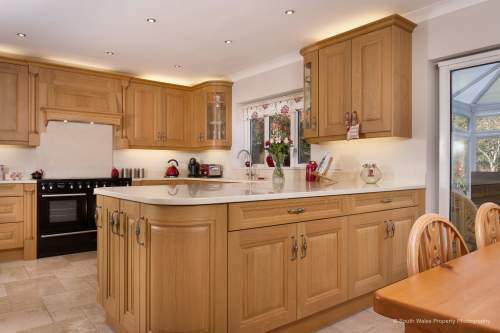 Solid oak is extremely hard wearing and a well designed and constructed oak kitchen could last a lifetime.